Very sturdy construction. 2 cm thick tabletop, solid beechwood waxed. Clamp moving on exact parallel screws. 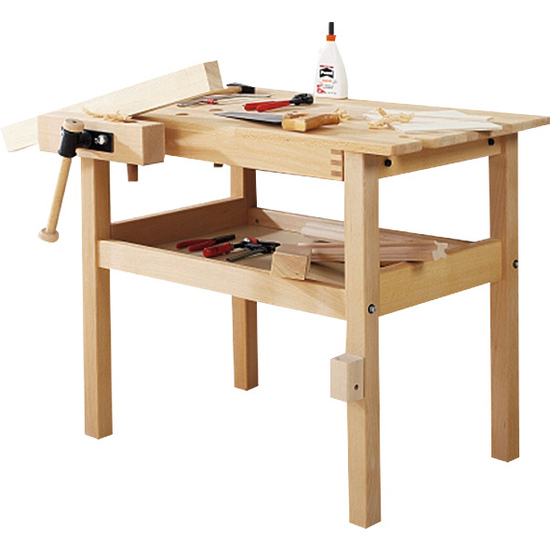 Tabletop with 2 holes for bench hooks (included) and notch for fretsaw working.